This is a recipe by Nobu Matsuhisa from Nobu’s cookbook. The black cod was incredibly tasty and I think this may be the best way to cook Black Cod ever. Marinating for 2-3 days is recommended. I marinated overnight and it was very good. And once you have the fish marinated in the fridge, it takes only 15 minutes to prepare this restaurant quality dish at home! Preheat the oven to 400°. Heat a grill pan and oil it. Scrape the marinade off the fish. Add the fish and cook over high heat until browned, about 2 minutes. Flip the fish onto a heavy rimmed baking sheet and roast for 10 minutes, until flaky. Save some marinate to serve with the dish. 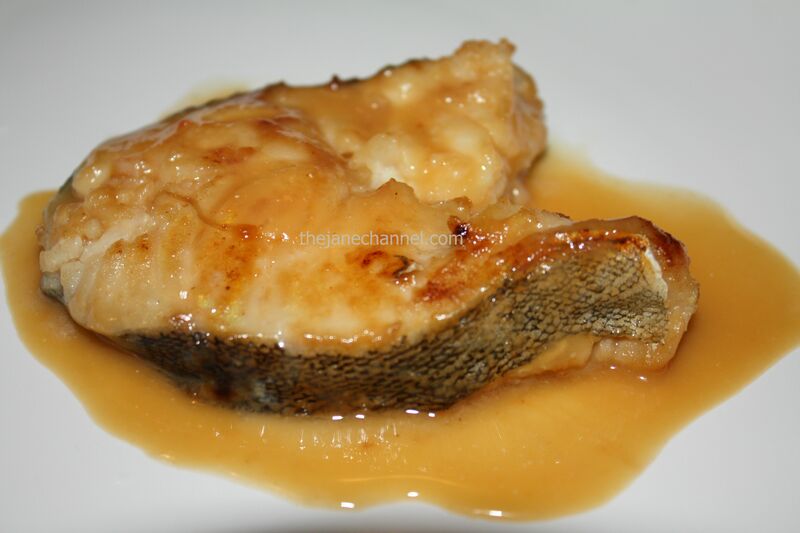 The black cod can be substitute with Sea Bass.